Oil Pulling?? You must be wondering if you got it right. For most of us, this is the first time we are coming across this term; while, for some, this is a part of their everyday routine. Oil pulling is an ancient traditional technique that is known to have numerous health benefits. Curious? 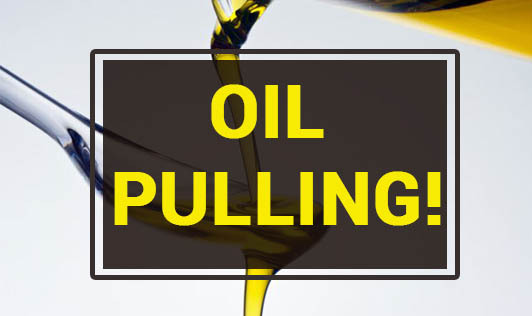 Read on to find out about oil pulling. Oil pulling is an ancient technique in Ayurveda used to cleanse and detoxify your body. It is a simple technique of rinsing your mouth with one teaspoon of oil for 20 minutes. Sunflower oil or sesame oil is considered ideal for this practice. It should be done early in the morning on an empty stomach. Take a teaspoon of either of this oil and gently swish it for 20 minutes. I know it is difficult to hold on for so long. But with practice, you will reach that stage. By doing so, toxins are pulled out by activated enzymes. With continuous swishing, thick and transparent oil turns thin and white. Do not swallow the oil, as it contains toxins. Brushing is advised after the oil pulling procedure to ward off the oil taste from the mouth. Note: Swishing for 20 minutes is important. Spending lesser time on it won't be effective, and going overboard can lead to reabsorption of toxins back into the body. Oral health is benefited the most from oil pulling. It reduces bad breath, plaque, tartar, gingivitis, mouth ulcers and prevents oral cancers like no other medicine does. This technique is highly recommended for people who have had habits of smoking and tobacco chewing. The benefits mentioned here are just a few of them from the elaborate list. It is time for us to explore and experience the ancient techniques to prevent diseases and maintain good health.